nor let it be afraid." Everyone experiences sorrows and heartaches. 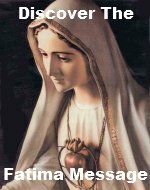 Meditating upon the Sorrowful Mysteries of the rosary will help you find peace during life's ups and downs. The Sorrowful Mysteries of the Rosary remind you of how much Jesus loves you. They recall how He suffered and died just for you. When He was in the Garden of Olives during His agony, He sweat drops of blood as He saw all the sins that were ever and ever will be committed. He saw all of my sins and He saw all of your sins. He suffered and died to make amends for the sins all. It is very reassuring to know that Someone loves you that much. The fact that Jesus loves you should bring great peace to your mind. Jesus is the Messiah, the promised one, Who came to open the gates of Heaven for all and make all who would keep His commandments children of God. He atoned for the sins of mankind by His crucifixion. 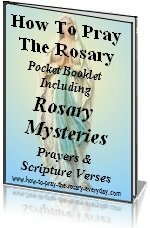 Having a clearer picture of the scene and significance of the Sorrowful Mysteries of the Rosary will greatly enhance your meditation.